Yale Court. 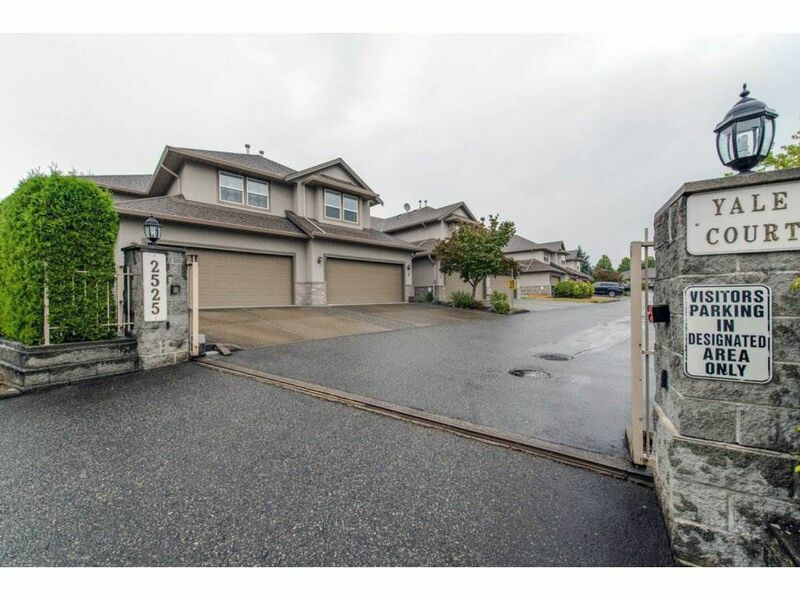 Popular family friendly strata nestled in a great East Abbotsford location. This is a rare find: original owner unit with a full (unfinished) basement ready for your finishing ideas. Super clean - like a barn find classic with no rust! You'll appreciate this 2500+ sqft two story with basement layout with three well sized bedrooms and laundry above. Private balcony off of master plus a spacious walk-in closet. Open main floor with separate dining area. Hard to find double garage plus double driveway (total 4 parking). Well run strata with RV parking, steps from Yale, ARC and short drive to freeway, shopping, etc. Sorry, no rentals. One dog allowed (12kg max).